Can a lone man stop mass destruction looming from the past? Reporter Branislav Poborsky is running away from a bad marriage, when he witnesses the Czech army covering up the extermination of an entire village. Saved in extremis by the gentle-giant Mossad agent Eytan Morgenstern, he is thrown into a troubling race to defuse a larger-than-life conspiracy. After Eytan’s mentor is kidnapped, he must join forces with his arch-rival to put an end to a mysterious group that has weapons of mass destruction. Once again, the atrocities of World War II come back to haunt the modern world. 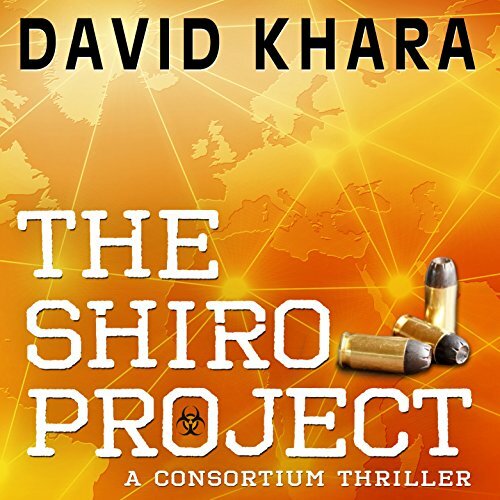 What links exist between Japanese camps in China in the 1940s, a US Army research center in the 1950s, and the deadly threat Eytan faces today? From Prague to Tokyo, with stops in Ireland, yesterday’s enemies become today’s best allies and mankind seems on the verge of repeating the errors of the past. What can a lone man do against the madness that is bound to follow? ©2011 Editions Critic, English Translation 2014 Sophie Weiner (P)2014 Audible Inc.